If you are currently renting an apartment in North Texas or plan on doing so anytime soon, you can expect to pay higher rents in the upcoming months. 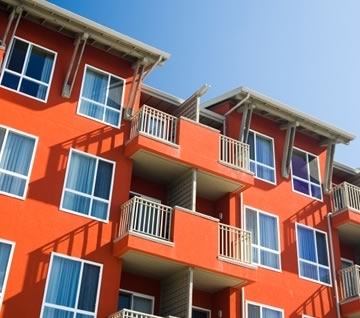 That’s right, as the desire for property rentals increases and occupancy begins to tighten, landlords will begin raising rent prices according to a recent study. Rents in North Texas saw an increase of 2% from July to September of this year, leaving rents a total a 4% higher than the same time last year according to MPF Research. According to the firm, which is a division of RealPage Incorporated, the average monthly rent in North Texas is now as high as $802 per month. Over the course of the year, rents increased 5.7% at communities that were built in the 1990’s. It is in these areas that average monthly rent is now $959. In addition to that, rent increased by a margin of 4.9% in communities that were built since 2000. Average rents in these areas now top off at $1,063 according to the study. Current occupancy rates in North Texas are 96.1% in properties from the 1990’s with a 94.1% occupancy rate in properties from 2000 to today. In addition to that, occupancy rates in the Dallas-Fort Worth area are 92.9%, an increase of 0.2 percentage points since June and 1.4 points from the previous year. Willett also added that Dallas-Fort Wort apartment rents could increase by an additional 4.4% next year. “The substantial rent growth occurring in the North Texas apartment market looks sustainable over the near term,” he added. This entry was posted in Apartment Rental and tagged apartment rentals, North Texas, North Texas apartment rentals, North Texas apartments, texas, Texas apartment rentals, Texas Rentals. Bookmark the permalink.